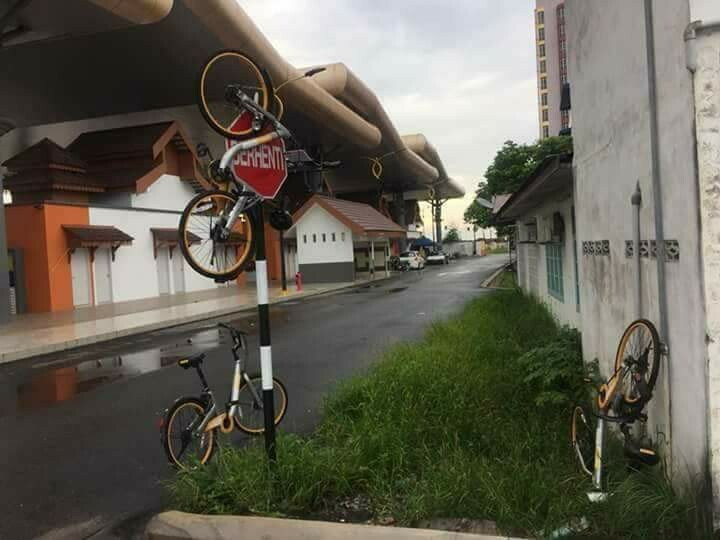 What did the bikes do to you?! 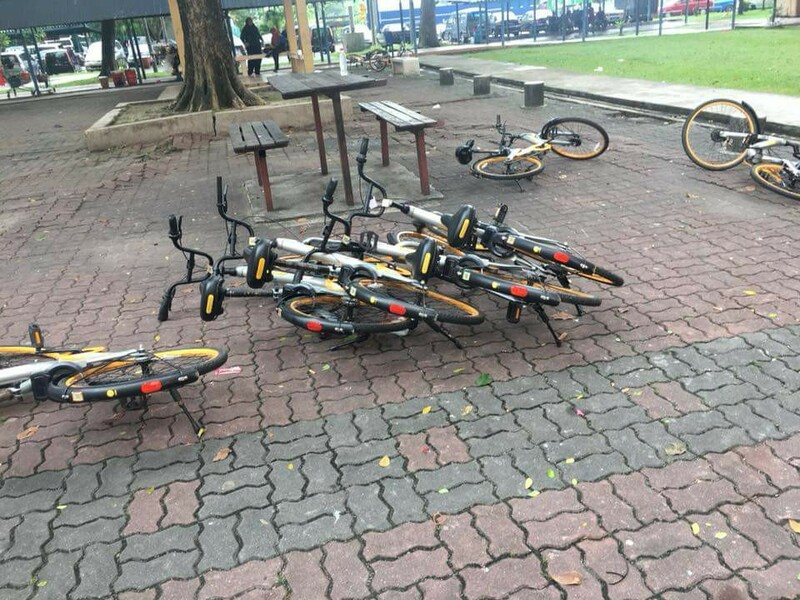 The Singapore-based company introduced the bicycle-sharing service in Malaysia in mid-April this year, aiming to ease transport woes for city folk who do not own private transport (e.g. 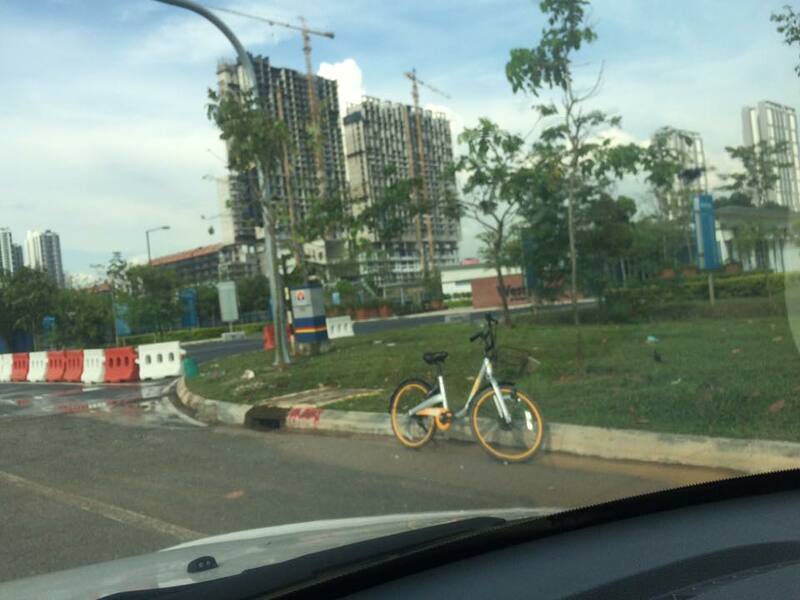 students and foreign workers) as well as to reduce traffic congestion and environmental pollution in the city. 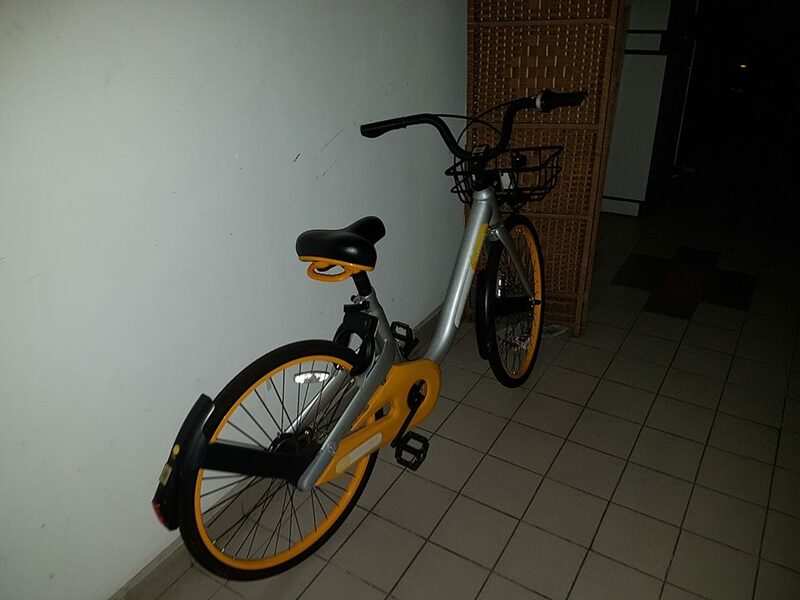 Users are also required to pay a refundable deposit to ensure their responsibility for the bike. 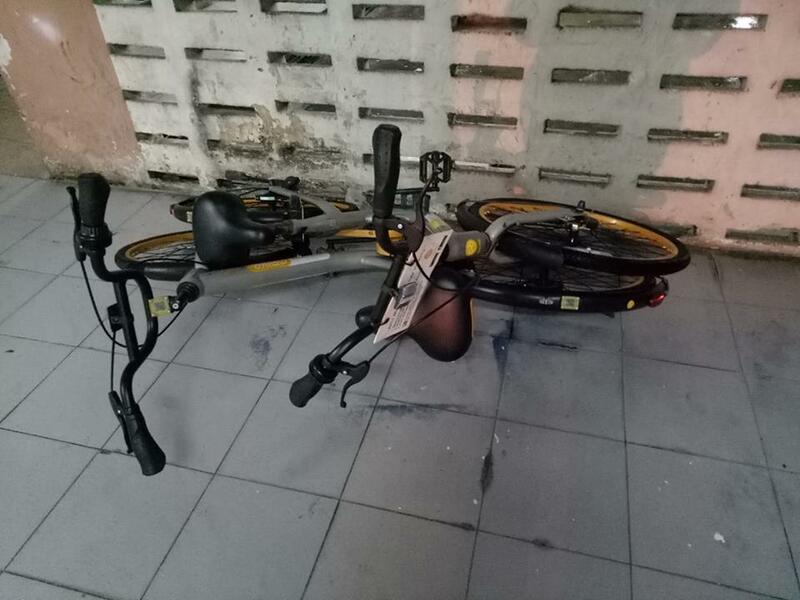 As for usage of the bikes, they will be billed RM1 for every 15-minute block. 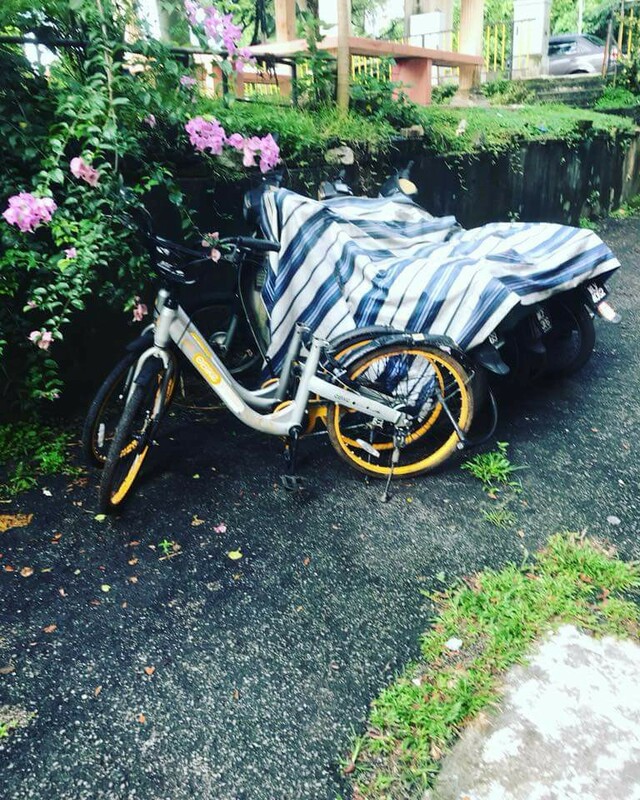 The service currently operates in Selangor, Kuala Lumpur, and Kuala Terengganu. 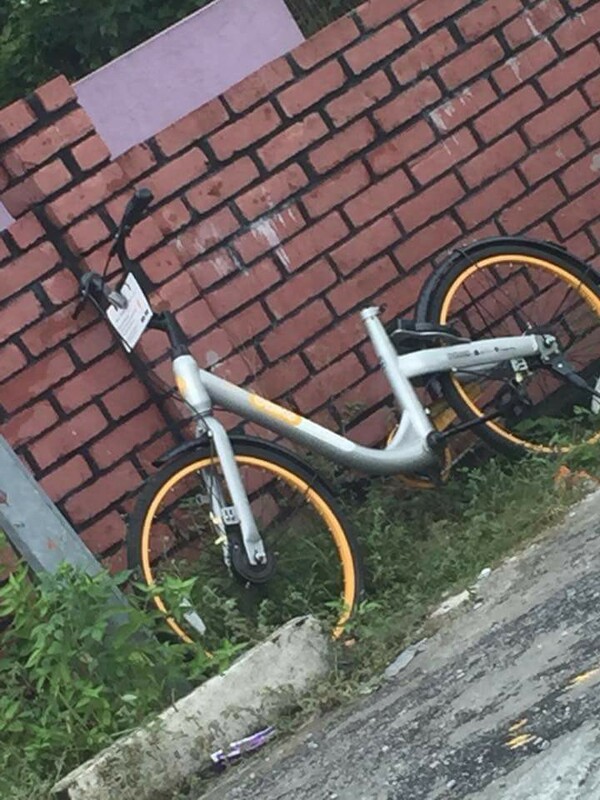 Via the oBike app, users can reserve and unlock bikes from designated oBike parking areas or one that's nearest to them. 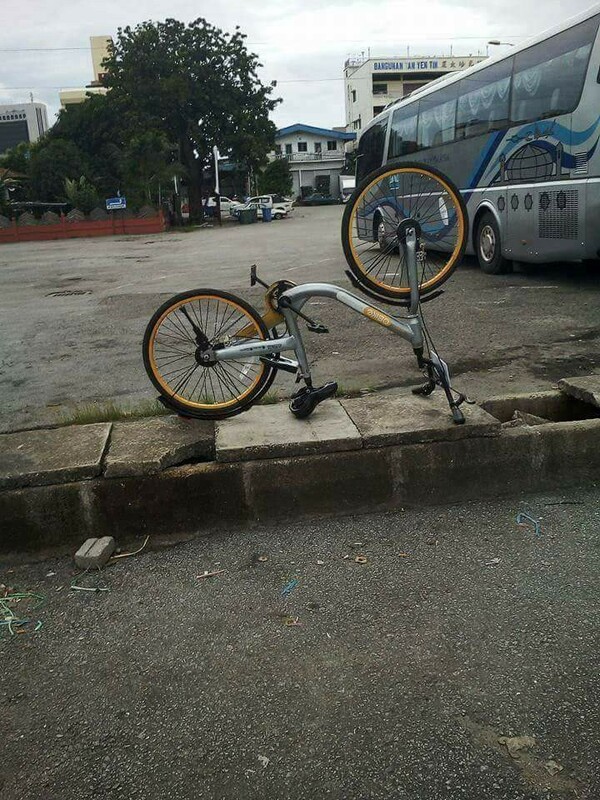 At the end of the ride, they just have to drop it off at a legally designated area and lock it with the app. 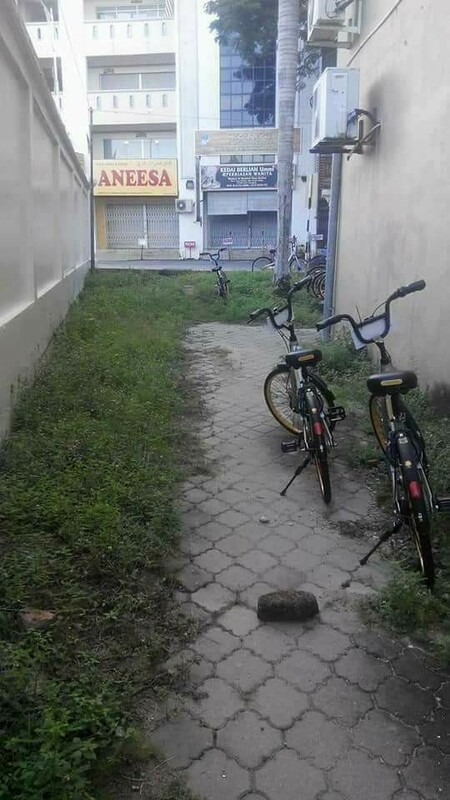 By "legally designate area", they mean anywhere that's accessible to the public that does not block traffic walkways. 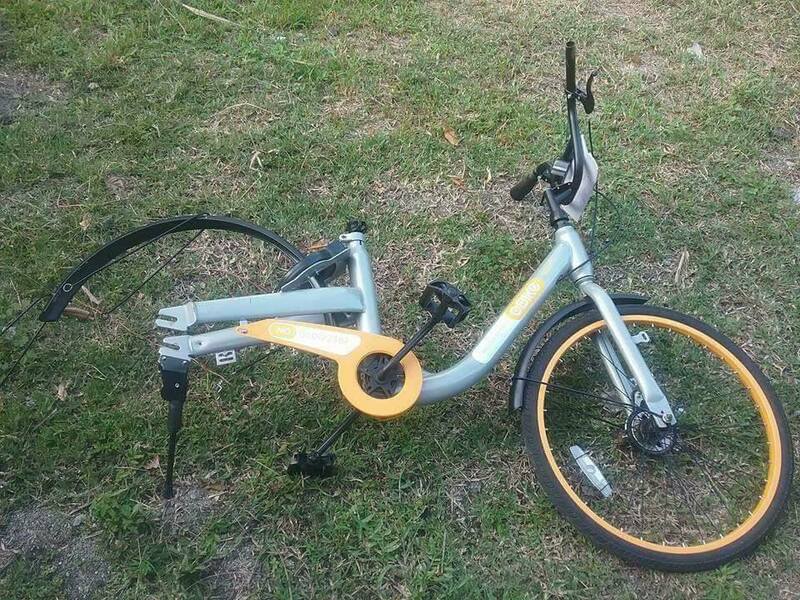 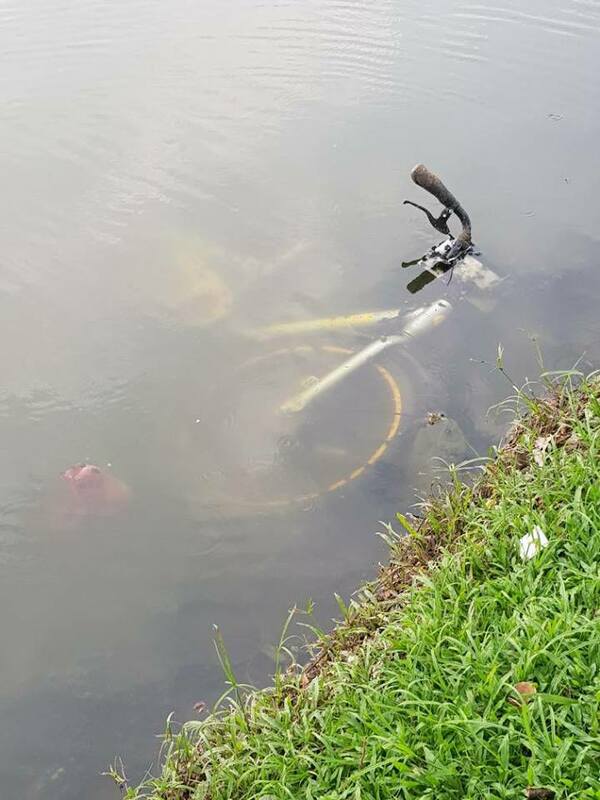 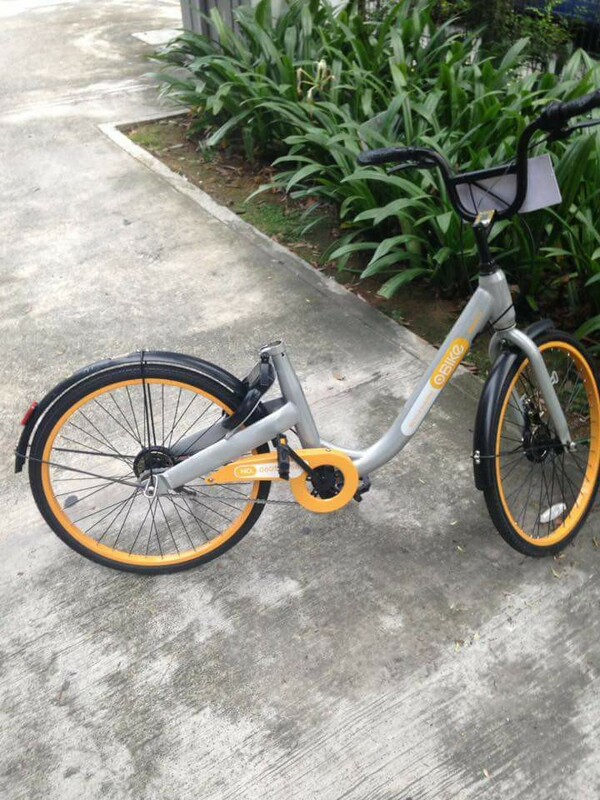 In its FAQ, oBike urged users to refrain from leaving the bikes at private areas such as residential parking lots and housing compounds. 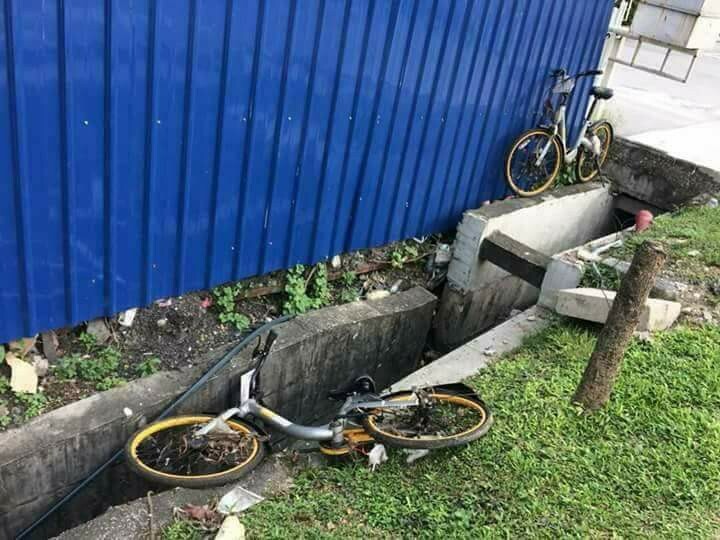 That's not even the worst of it. 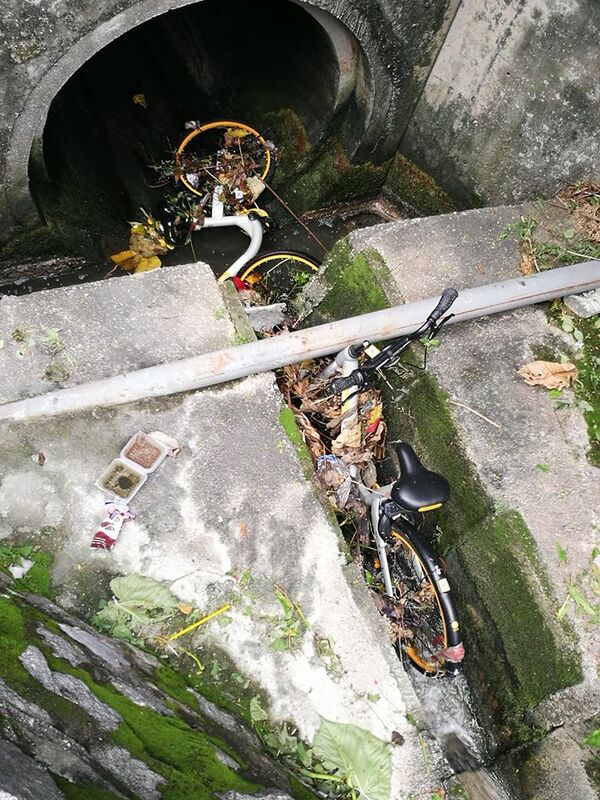 Some bikes were found with the saddle or other parts missing. 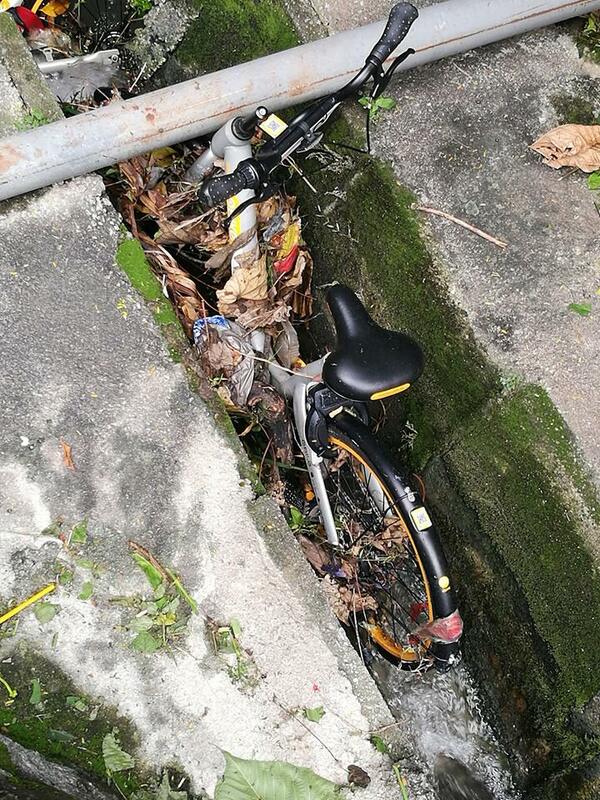 Apparently, this is not a Malaysia-exclusive problem. 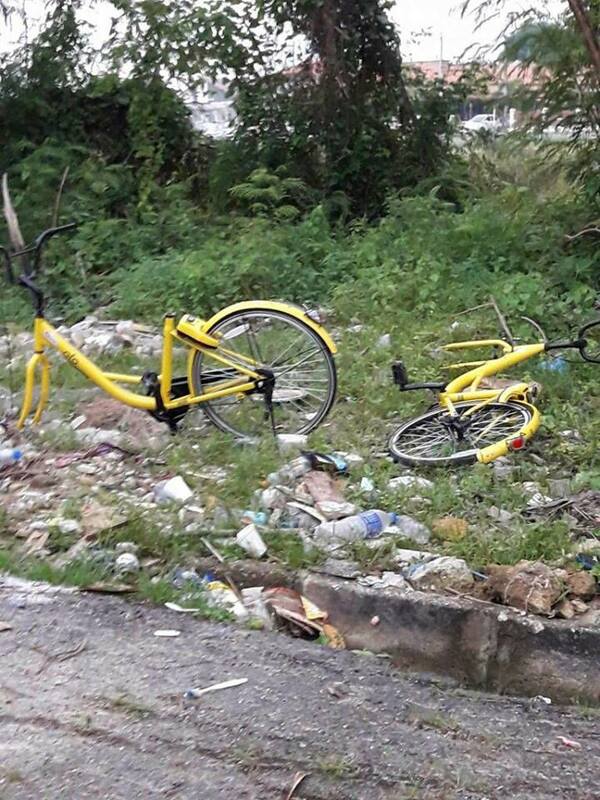 The lack of fixed docking stations for bicycle-sharing systems have also led to bikes being haphazardly abandoned or vandalised in Australia and China. 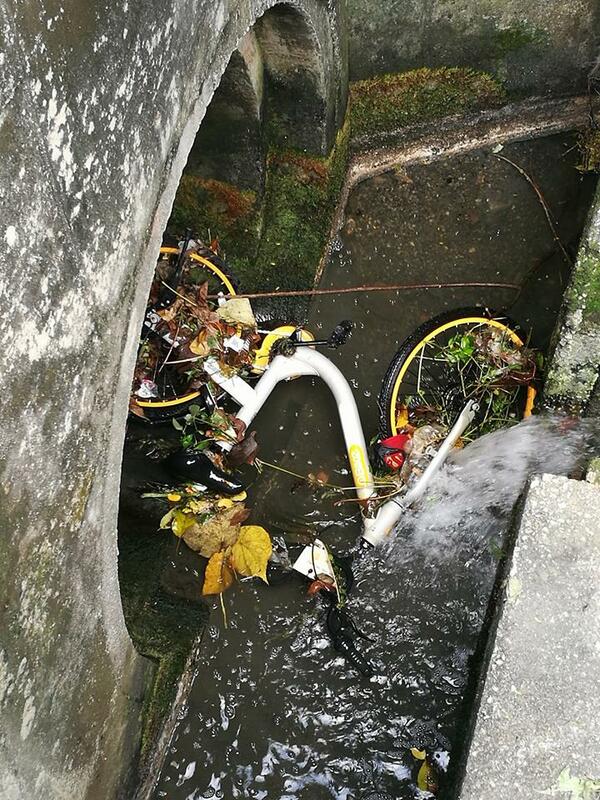 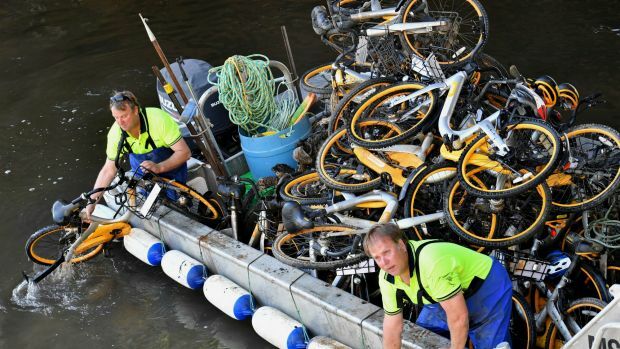 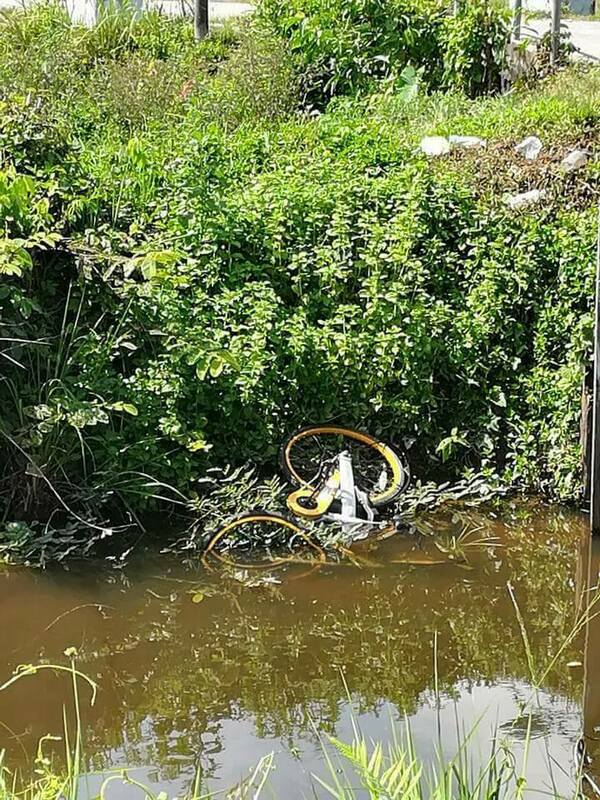 Contractors retrieving hundreds of oBikes dumped in Melbourne's Yarra River. 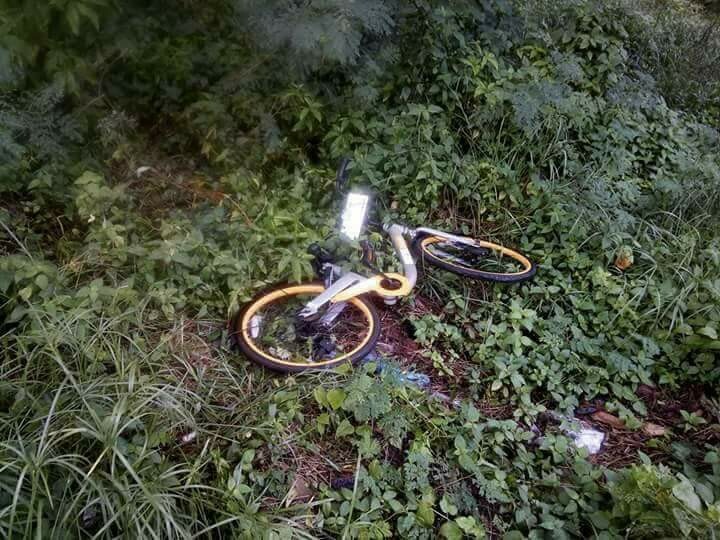 People in China are reportedly destroying bikes after use. 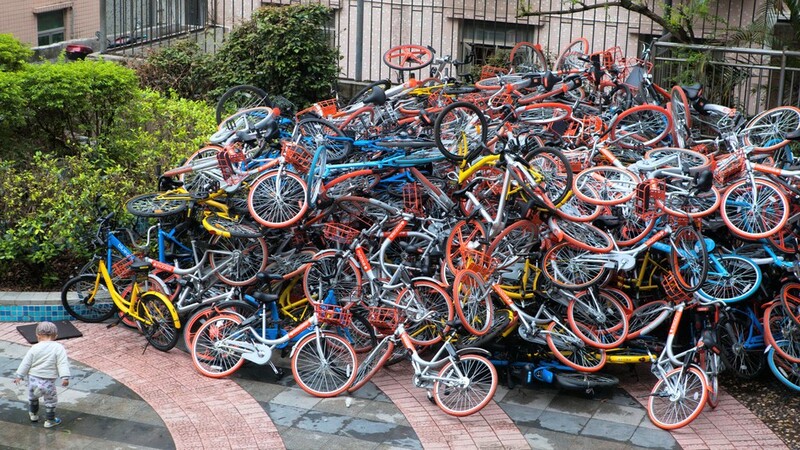 Broken bicycles are then dumped in a pile. 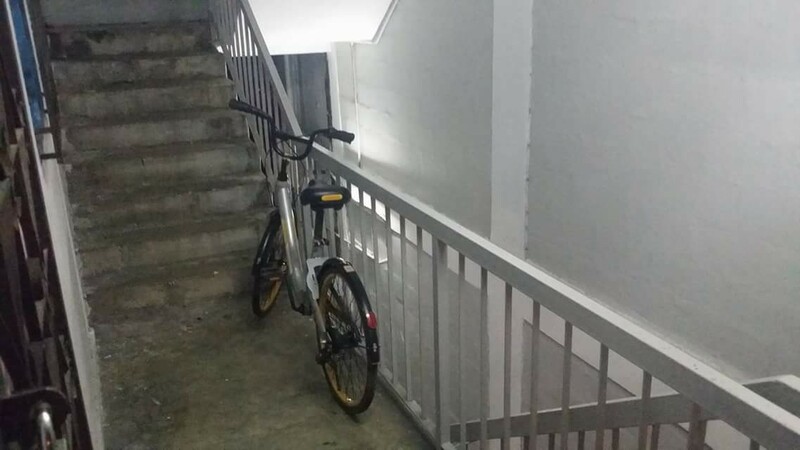 However, that does not mean we should be following bad examples. 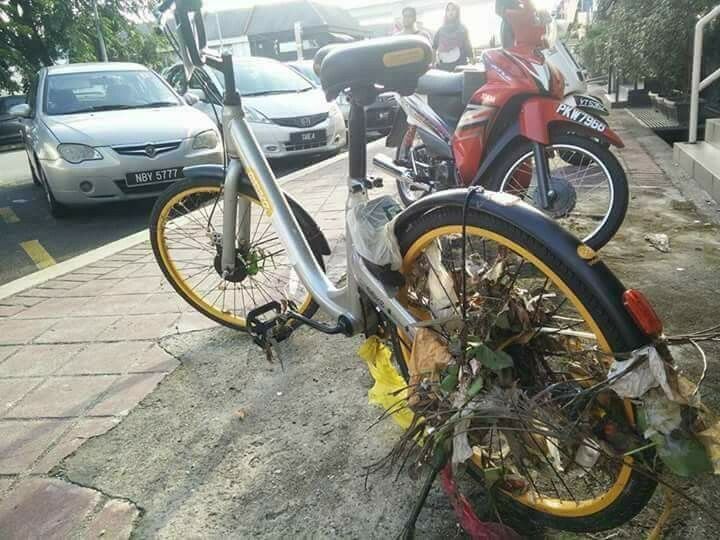 Let's strive to be more civilised and responsible than that, okay? 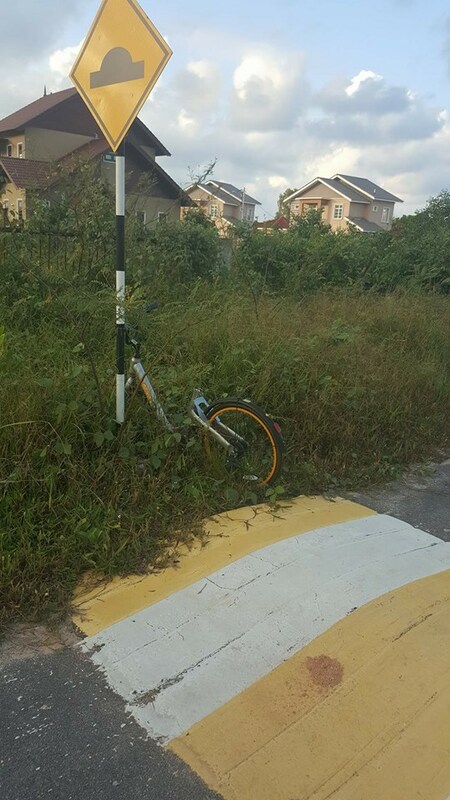 It has only been a week since the new stations were opened last Monday, 17 July. 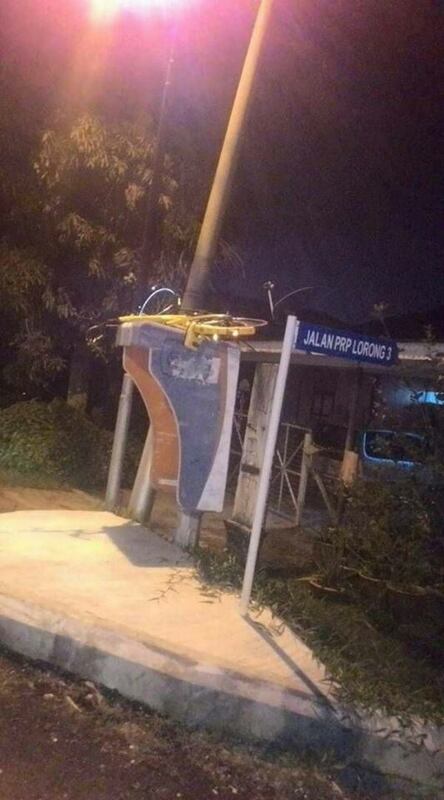 The public transport provider is using creative ways to keep unruly behaviour in check.